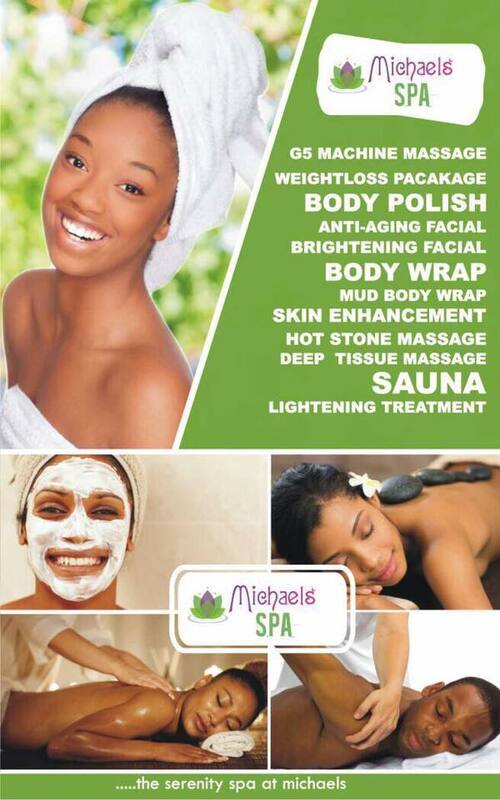 Marjene Hair & Beauty Wellness presents the Beauty & Make Up edition of its Lifestyle Series. The networking event and seminar is aimed at providing the ultimate learning experience in skincare and make Up for hopefuls who want to get more in the industry. It will allow you mingle with industry professionals & specialists, gain knowledge on how to care for and protect your skin plus provide tips on preventing & fighting against skin related problems. 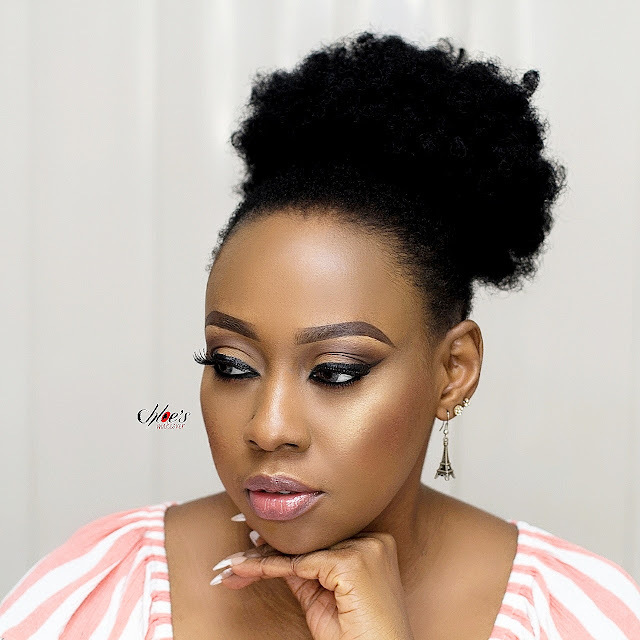 You can also learn Make Up application skills and get discounts on Make Up, virgin hair extensions, fashion accessories, skincare products, makeovers and more. Venue: The Blowfish Hotel, No. 17 Oju Olobun Street, Off Bishop Oluwole Street, Victoria Island, Lagos. 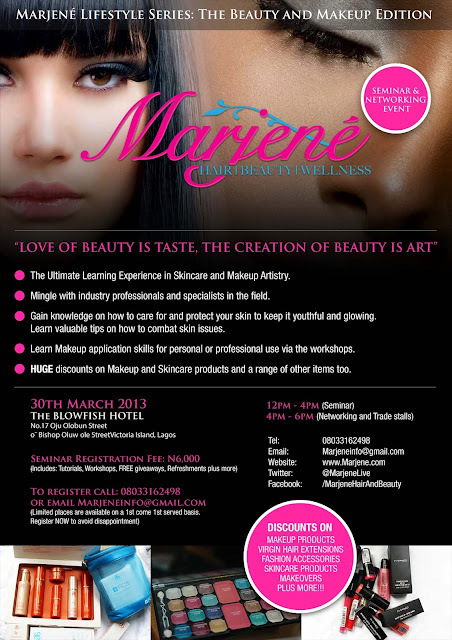 Seminar Registration Fee: N6000 (Including tutorials, workshops, free giveaways, refreshments etc). Entry is free for the Networking and Trade fair.